Brick ranch on nearly half an acre backing up to a 41 acre field for beautiful country views! 720 sq ft concrete garage with electric. 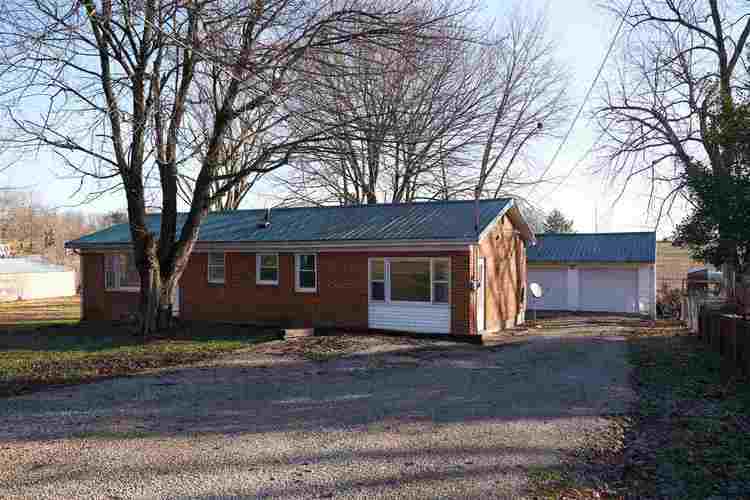 Just 8 minutes from USI and qualifies for zero down USDA financing! This home has been meticulously maintained and updated, is 100% move in ready, and all appliances are included. Directions:Highway 66 to South on St. Phillips Road, East on Copperline, South on Lavon. Home is on the left.